In a video’s soundtrack, you can describe, comment, joke, and annotate the action with a voiceover. The voiceover – a recording of someone speaking – makes your video more compelling, interesting and emotional since it appeals to more senses and involves a human voice instead of just a muted visual. In this post, I’ll share how you add voiceover to a video using free, online tools. After you film your video, you can use a free tool like Quicktime, Loom, or an app on your phone to record your voiceover. Save the file as an MP3 and trim off any errors/extra sound at the start or end of the video. Open Kapwing’s Add Voice Over to video tool and upload your video. 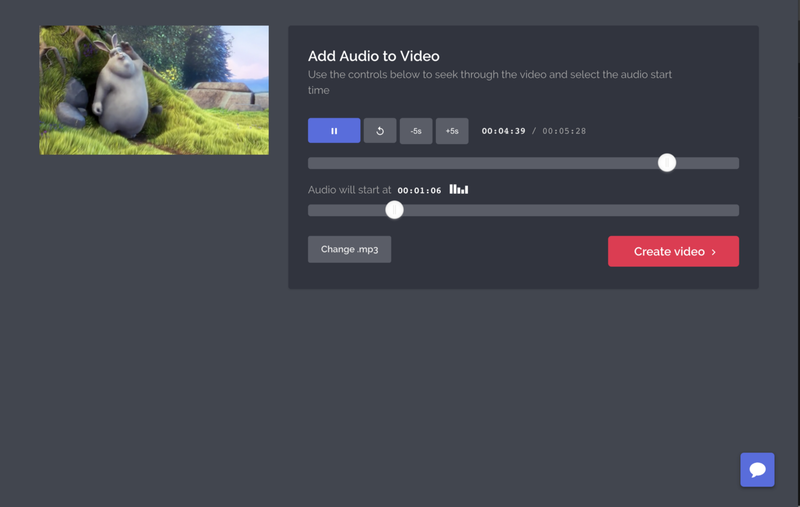 With Kapwing’s add music to video tool, you can upload your video or paste a link to the video if it is already on YouTube or another site. Then, upload your MP3 and choose the start time so that the audio plays at the right moment. Kapwing will merge your music with the video’s sound to preserve its existing audio. You can also mute the video’s existing soundtrack to replace it with the new music. If you want to mute the original audio on the video, you should mute it, download the silenced output, and re-upload the muted version to the Add Music tool. Once your video has been created, download it to share with your friends or publish it to Facebook, Instagram, or another social media site. Merging a voice-over into your video can make a screencast, a demo, or a technical video more fun, human, and engaging.